The Mendocino County Water Emergency Preparedness Planning grant was funded through the Department of Water Resources, Prop 84, enabled MCRCD to work with Tribal and small water suppliers throughout the county to identify priorities and areas of need, provide planning for water conservation, and increase resiliency and capacity to respond to emergencies in the face of water uncertainty. MCRCD surveyed small districts and Tribes to assess unmet needs, conducted water conservation workshops, trained water suppliers to conduct home water audits, and assisted suppliers to develop long-term water emergency plans. MCRCD also partnered with the Rural Communities Assistance Corporation to expand the reach of the trainings throughout the North Coast. 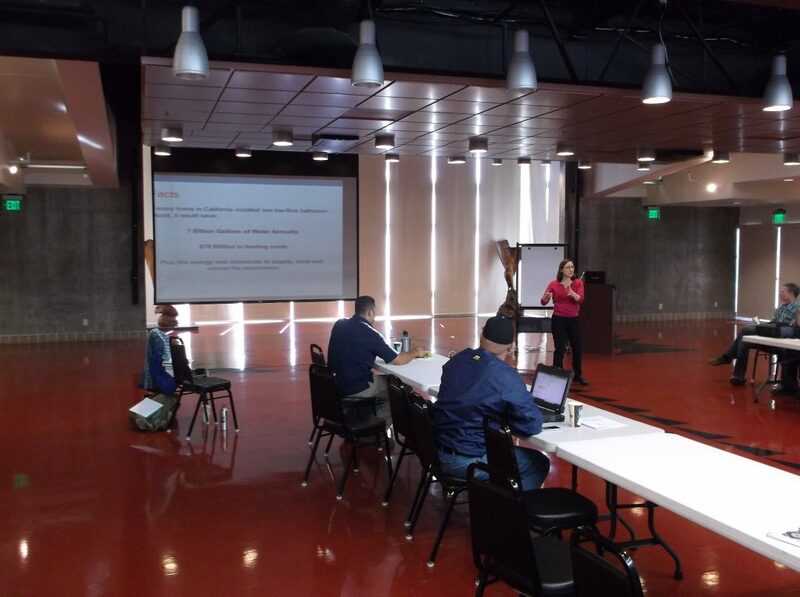 This program has been further developed with a Prop 84 Implementation grant to provide water conservation assistance, water audits, and leak detection for Tribes throughout Mendocino County, starting in Fall 2016.